Screenprinting and working with modular units in a variety of juxtapositions has been an important part of Clay’s work for many years. 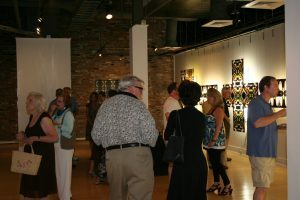 Clay received a Master’s of Fine Arts from Norfolk State University and ODU, a joint program with honors in 1999. 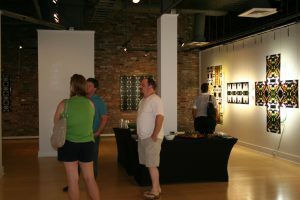 He received his Bachelor of Fine Arts from ODU with a Minor in Journalism in 1993. 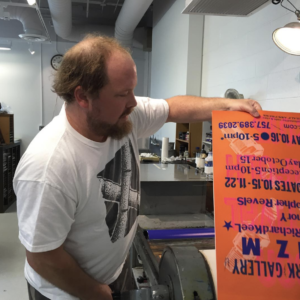 Clay has taught at the Governor’s School for the Arts since 1994 and is an ODU Assistant Art Professor. 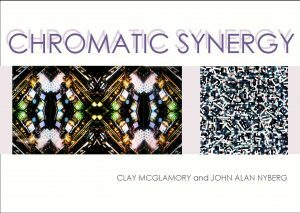 Recent work involves creating optically charged images on clear and colored sheets of acrylic. 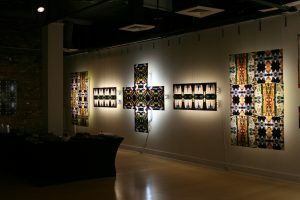 These works are a continuation of an exploration into formal qualities of color, light, shape, and pattern, which he’s been building upon in his work since the early 1990’s. 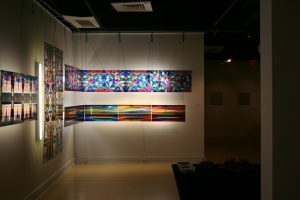 Many of the mixed media installation works are multi-layered and lit from behind, further pushing the optical and hypnotic qualities by highlighting the incredible depth and luminosity. 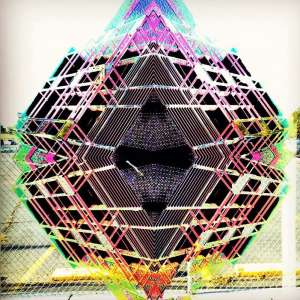 Ideas for creating these works came from an interest in Op art and experimentation with the properties of kaleidoscopes, tessellations and repetition of patterned imagery. Clay started out by examining photographs taken until finding the right image or image fragment. He then manipulates the images on the computer to create positive films and transferable imagery. 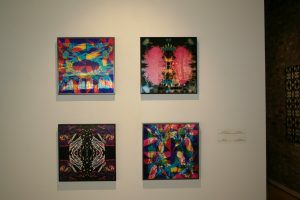 Next he screenprints, paints and transfers in a variety of vivid colors and orientations on multiple panels. Finally he collages individual units together on the wall to make interchangeable kaleidoscopic grids and installations. The intention is to use repetition of form, vibrant color and aesthetic distance in the large grids and installations so the works become hypnotic and entrancing. Clay’s goal is to be visually intriguing and to figuratively assault the viewers’ optic nerves.